Growing up and growing old are two different things, but Jinx is happy to accommodate folks at just about any point in that process. 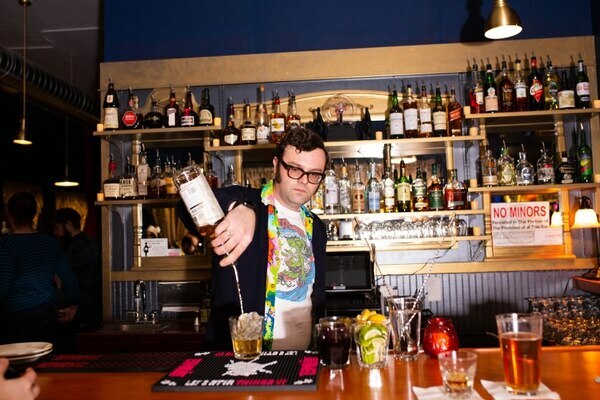 If the idea of a "family-friendly bar" sounds like an oxymoron, you probably haven't spent enough daylight hours in the many local watering holes that bookend the city's residential districts. 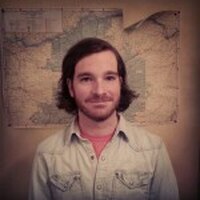 It might seem a vexing concept for the childless who just want to drink in peace. 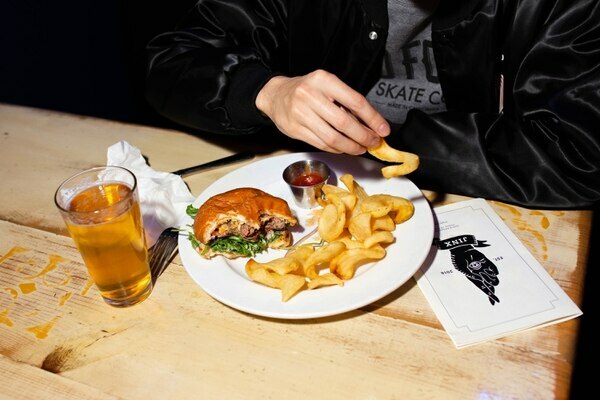 But a neighborhood bar where Mom and Dad can plunk down in a booth and enjoy a pint or two while Braxton and Jaycee run amok is deeply appealing to the boom of young families that have overtaken formerly scumbaggy environs of Portland. While high-end spots Dame, Beast and Expatriate have turned the intersection of Northeast Killingsworth Street and 30th Avenue into a culinary hot spot, those restaurants offer little solace for frazzled parents who need to get the hell out of the house for a few hours. 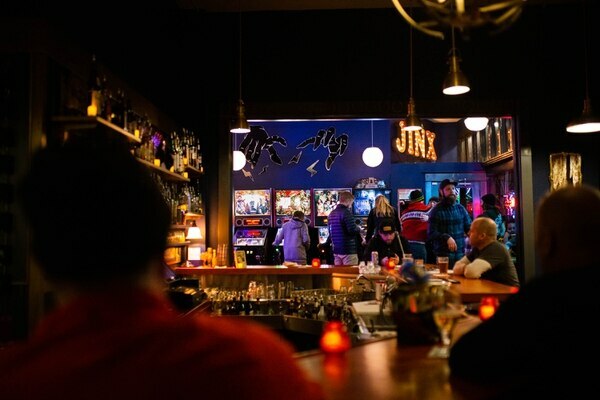 Enter Jinx (3000 NE Killingsworth St., 503-288-8075). Located in the former Cup & Saucer Cafe space next to Expatriate, it's a bright, lived-in hodgepodge of luck-themed branding, subtle nods to counterculture and just enough old-school diner flourishes left over from the prior tenant to ground the place with authenticity. Considering the team behind it—which includes a founding partner of Florida Room as well as a brother-sister duo of restaurant veterans—no one expected Jinx to be fancy or fussy, and the fact that they've followed through with a perfectly mellow place to drink $3 Miller High Life tallboys while the Buzzcocks and Suicide play on the stereo makes it all the more likable. 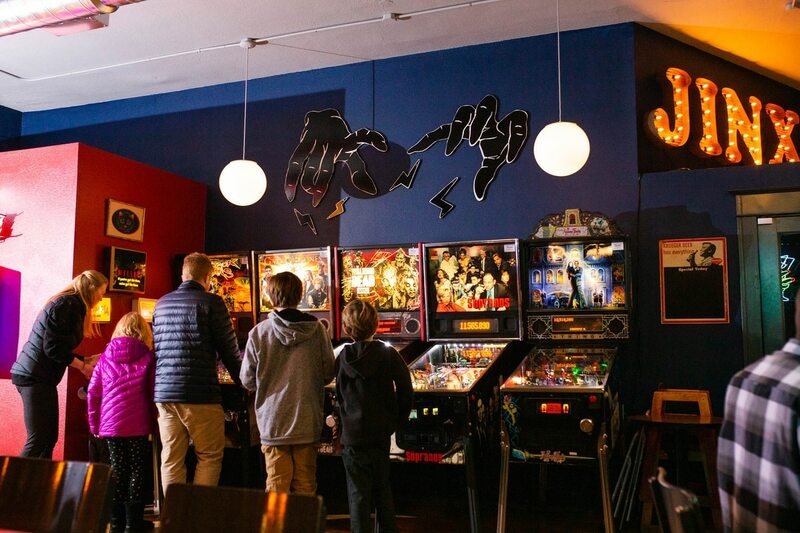 Between the clutch of newish pinball machines and a modestly priced kids' menu, there's plenty to keep your offspring occupied. A crustless grilled cheese with fries is only $6, while a juicy, gently charred adult burger will run you $13. The appetizer menu is a bizarre mix of highbrow delights with lowbrow presentations, like deviled egg tartine ($6), tempura avocado ($9) and a plate of cognac-soaked dates stuffed with feta and wrapped in bacon ($6). The entrees are similarly high-minded, with the chicken roulade ($15) serving as a classic cold-weather comfort dish, but you'll do just fine with the burger and a handful of appetizers. Happy hour and a proper cocktail list are still forthcoming, as well as brunch service. But if the oversized Toronto we got for just $7 on a recent visit is any indicator, expect stiff drinks at gracious prices. Hell, even the taps, which included mostly mainstream craft options, pour for a mere $5. Barflies who came of drinking age at the Know or Yamhill Pub will always scoff at prices like that, but no responsible adult has any business bringing a kid into those places. Growing up and growing old are two different things, but Jinx is happy to accommodate folks at just about any point in that process.